You often hire a service provider or contractor to get things done like repair work, construction etc. However, sometimes a lack of understanding and communication can botch things up. In order to avoid such a situation, it is always advisable to sign a service level agreement with the service provider. 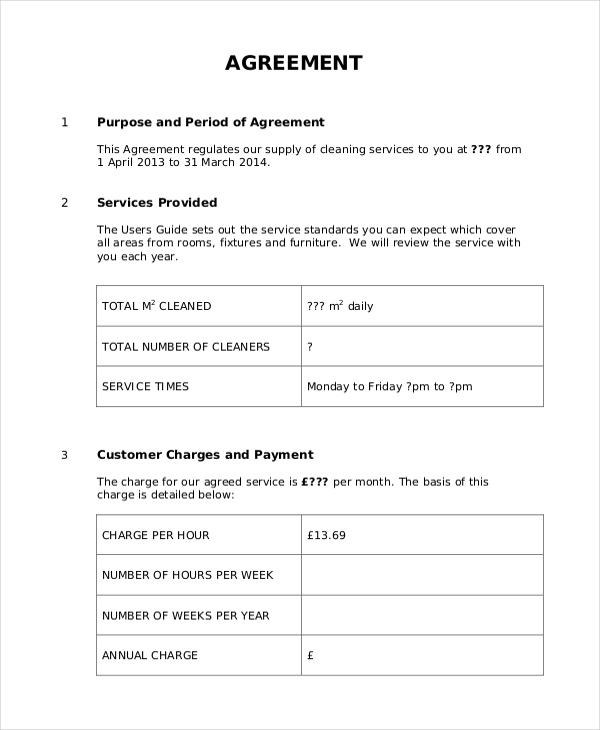 In the Agreement Forms, you can define all that you expect the person to fulfill along with the amount you are willing to pay for the services. 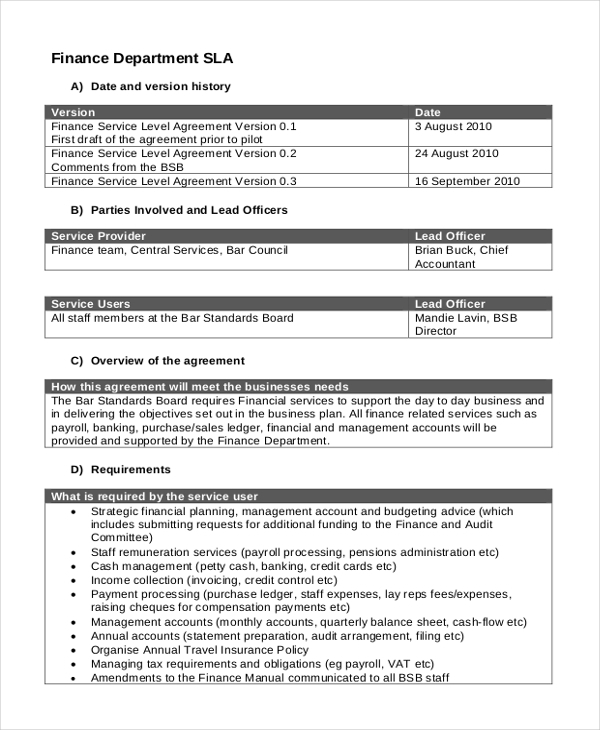 This is an example of a service level agreement and gives you a fair idea as to how you can draft one. It comprises of all the crucial elements and can be used after making some minor changes. When you hire a contractor to offer IT support to your firm, it is a good idea to sign a service level agreement with him to ensure that he understands your expectations. As the name indicates, this service level agreement comes in handy when you hire a cloud service provider to handle and manage your data. In the agreement, you can direct the provider as to what services you are expecting. This agreement can be used by IT companies that intend to hire contractors to offer their maintenance services. The agreement defines the duties of the contractors along with their fee. 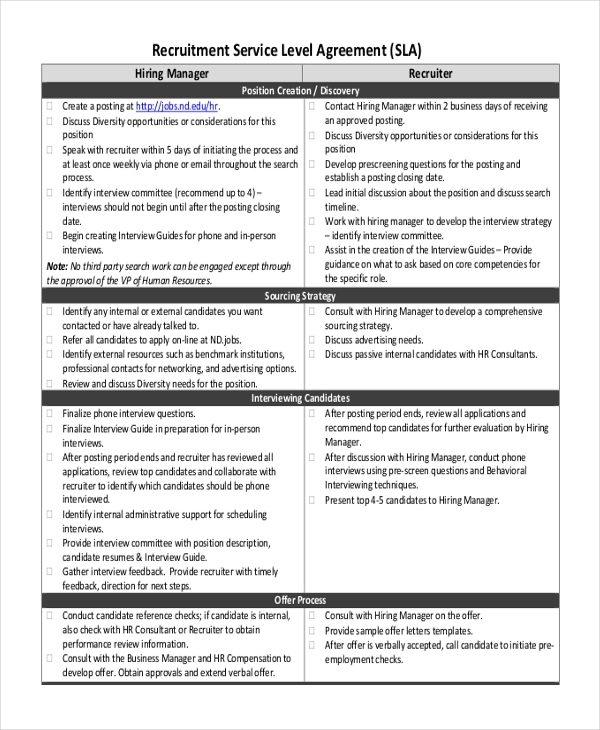 If you hire an external agency to help you with the recruitment of new employees, it is advisable that you sign this agreement with the agency. This ensures that the provider is well aware of what services he needs to offer. 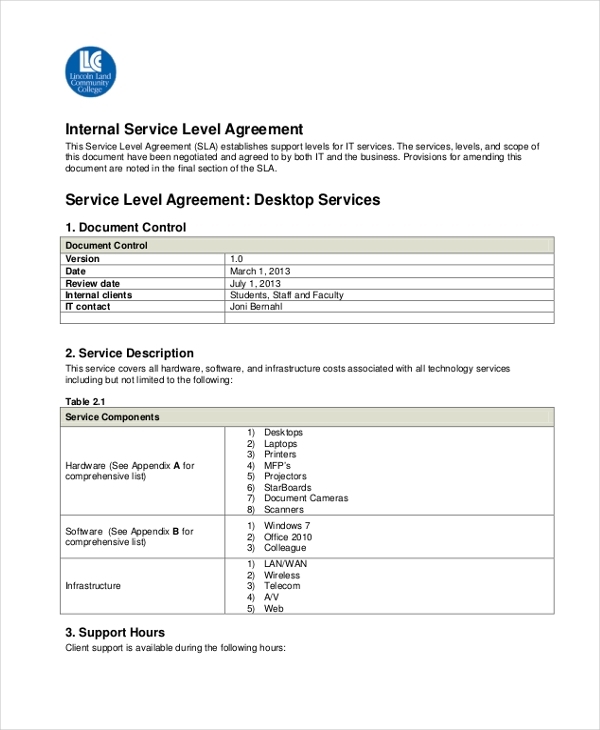 As might be obvious from the name, this is a service level agreement template in MS Word format. So, in case your system does not support PDF, you can use this to help you draft a perfect agreement. 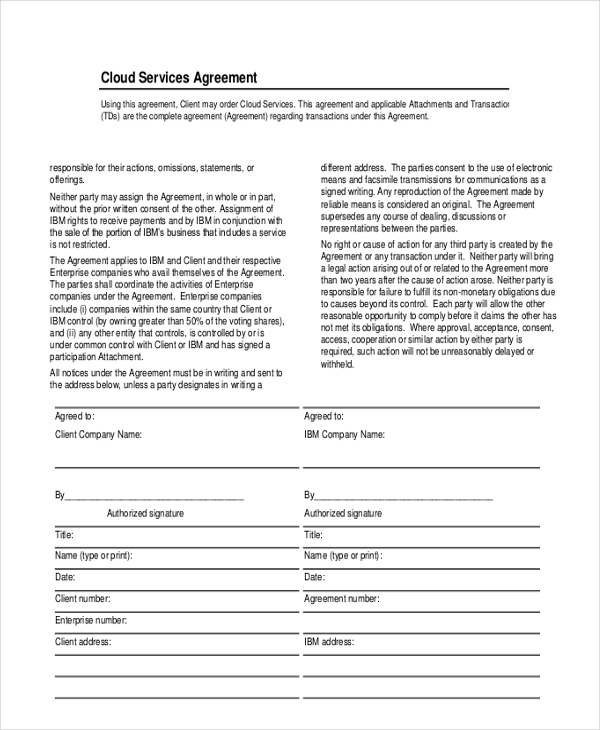 If you are a service provider, you can use this to sign an agreement with a customer interested in signing up for your services. 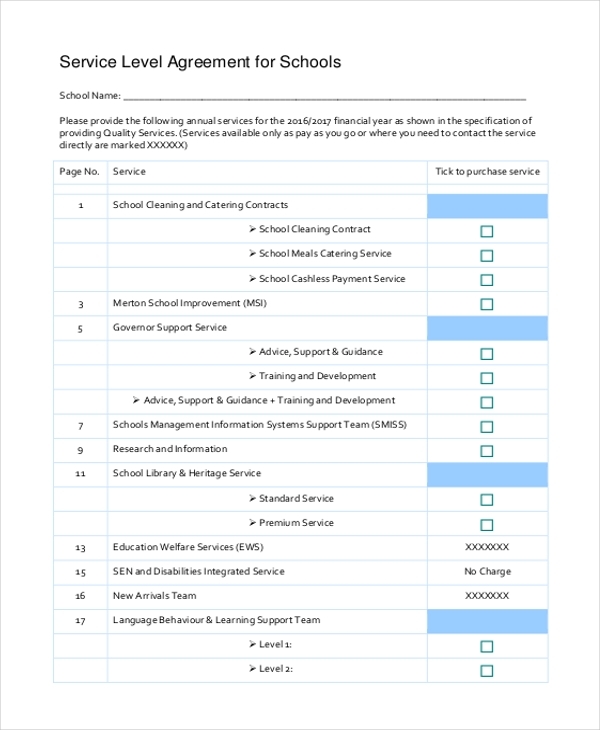 In this agreement, you can elaborate on the services you are willing to provide. 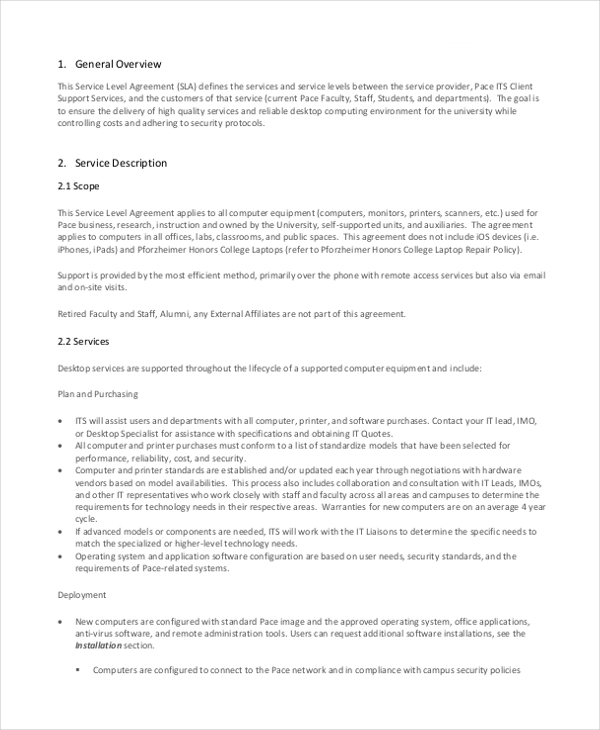 Use this to sign an agreement with a data center whose services you may have hired to help you manage all the crucial data of your organization. This agreement is used by the educational institutions to get their teachers to sign a contract which defines their duties towards the institution and its students. 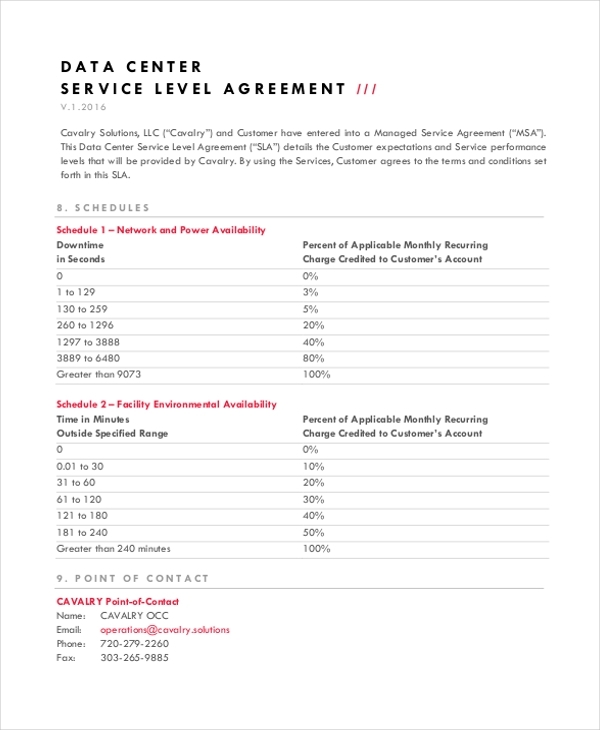 This service level agreement can be used when your organization hires financial services to help with the accounts and other financial details of the firm. In this agreement, you can elaborate on the level of service that you are expecting. 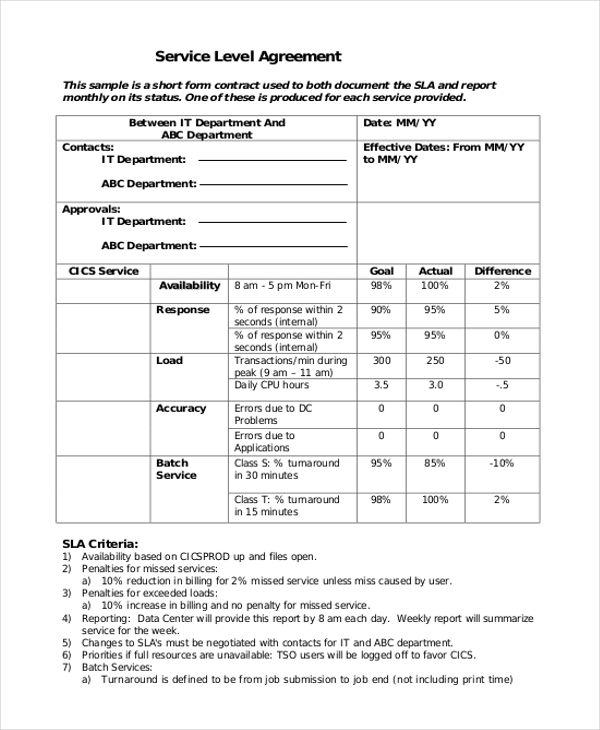 What are the Benefits of using Service Level Agreements? It can be used as a valid proof in case of a legal hassle You may also see Rental Agreement Forms. 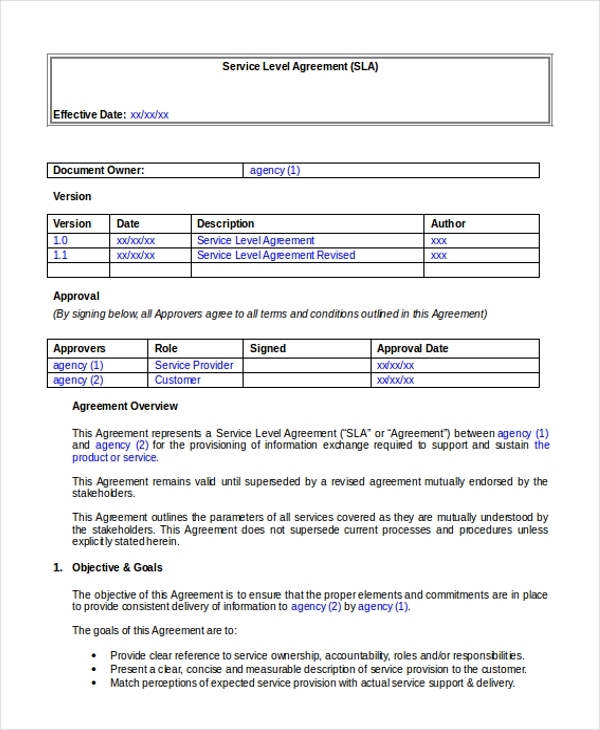 Need help in drafting a service level agreement? Don’t want to hire an expert for the purpose? Well, all you need to do is browse through our collection of service level agreements. You are sure to find the one that is perfect for your needs. You can download this and easily customize it as per your requirement. You can also see Lease Agreement Forms.